Stripe – our preferred gateway for payments here at Revolution Development for our clients, just announced the ability to accept Bitcoin as payment through their gateway. The only thing we see that you can’t do with it is recurring / subscription payments (as of yet?). As for fees, they only charge just 0.5% per successful Bitcoin transaction. There are no other fees. We’re pretty excited to see other payments being added, especially crypto currency! 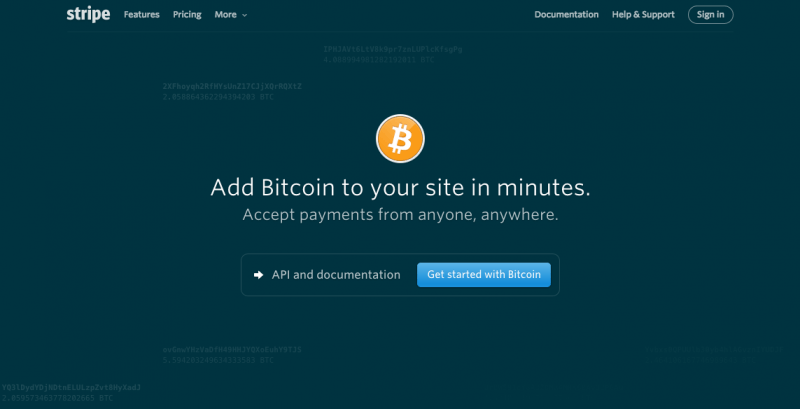 Stripe’s Bitcoin Documentation is as solid as their other API documentation as well. Over-all, an excellent integration!